Sprout Savings™ will get your child off to a great financial start. Sprout Savings is a program that encourages savings habits in kids and teens from 0 – 17. When your child opens a Youth Share Savings account, you can opt them in to the Sprout Savings program at the same time. 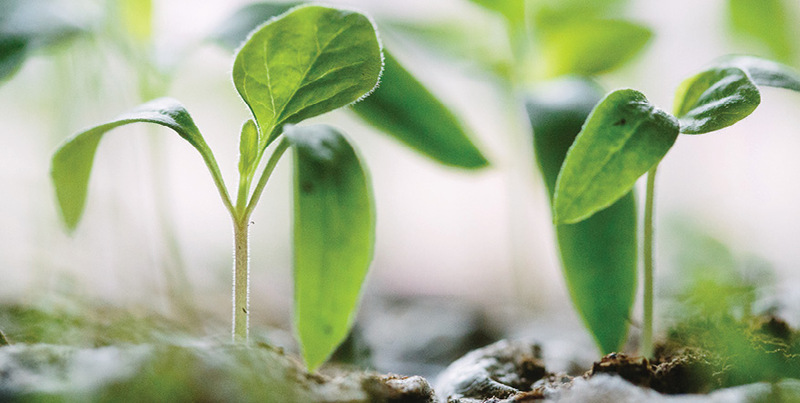 The Sprout Savings program provides your child with a money plant (yes, that’s really what it’s called!) upon opening a Youth Share Savings account. And to encourage saving, every time your child makes an in-branch deposit of $10, they will receive a prize! Opting in to the Sprout Savings program allows your child to be entered into our monthly drawing, as well. Every month, we draw a winner to receive $50. The $50 prize will be directly deposited into the Youth Share Savings account, growing your child’s savings! Is Sprout Savings Different from Youth Share Savings? No, our Youth Share Savings account isn’t changing or going away. Sprout Savings is a program that pairs with the Youth Share Savings account. To open a Youth Share Savings account or enroll in the Sprout Savings program, come into any branch or give us a call at (800) 452-9515. Monthly Drawing Details: All Youth Share accountholders ages 0-17 who have a deposit made to their accounts during the calendar month are eligible to enter the Sprout Savings Monthly Drawing (“Monthly Drawing”). Deposits of interest or dividends earned do not count for the Monthly Drawing. The Monthly Drawing will take place once each calendar month based on the previous month’s transactions and will continue indefinitely. Northwest Community Credit union reserves the right to cancel or modify this program. How to Enter: In order to participate in this program, Parental Consent must be given (opted-in to program) at account opening, or by calling or visiting a branch and requesting to opt-in to the Sprout Savings Monthly Drawings. Once you have opted in, you will be automatically entered based on the drawing criteria above. Prize Eligibility: Accounts must have a positive balance and all accountholders be in good standing at the closing of each drawing period (month end) and have had at least one deposit during the month. Only activity on the savings account will be looked at – checking accounts and certificates of deposit are not eligible. Prizes: Each month, one (1) winner will be chosen and awarded a cash prize in the amount of $50 USD, which will be deposited to the Youth Share account. All winners will be randomly selected from all participants in the Monthly Drawing. The Monthly Drawing will be conducted within fourteen (14) days of the conclusion of the previous month. Winners will be notified via telephone, email, or standard USPS mail. Prizes are non-transferrable. Odds: Actual odds of winning are based upon the number of eligible entries received. Each eligible entry shall have a chance of winning that is equal to that of all other entries in each Monthly Drawing. Except for making a monthly deposit, no other action or purchasing of any goods or services will increase the odds of winning. Taxes: Winner is solely responsible for all applicable federal, state and local taxes and any expenses associated with the prize, unless otherwise indicated. 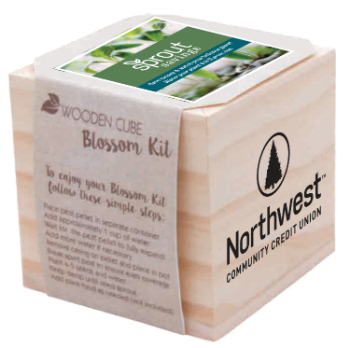 Sponsor: Northwest Community Credit Union, 545 E. 8th Avenue, Eugene, Oregon, 97401.